This is an incredibly fun family card game, and if you're looking for something to take along on vacation with you, this is a great choice. It comes in a small box and consists of only cards, so it's small and easy to pack (you can just take it out of the box and rubber-band the cards together). We took this on a ski trip last winter, and a whole big group of us, four adults and five kids ranging from 4 to 13 years old, played it and really had a blast. The premise is that there are a whole bunch of queens (you can see the pancake queen and the ladybug queen in the picture), and they are laid face down on the table. The object of the game is to "wake" the queens by playing a king card (you can see the checkers king) on the discard pile. The queens each have different point values, and depending on the number of players, you must have a certain numeric total or number of queens to win the game. Other special cards complicate matters - a dragon can carry off a player's queen and put it in another player's pile. But a knight card scares off the dragon, effectively nullifying it. A sleeping potion can put a player's queen to sleep (back face down on the table), but the magic wand card protects the queen from the potion's effects. 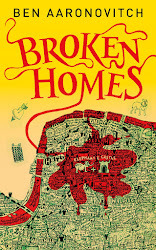 There is no reading involved, which is great for the youngest kids. There are number cards, though, and rudimentary addition skills help - but the older kids can help the younger ones. Number cards can be traded in for other (hopefully better) cards by making "number sentences" - so if you have a 2, a 4, and a 6, you can swap all three cards on your turn, saying, "2 + 4 = 6." 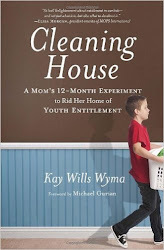 I let my kids do any kind they want, addition, division, etc. - anything to have them working math problems in their head and having fun with it! 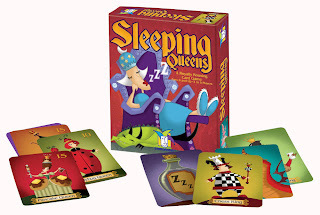 Sleeping Queens is a Gamewright game. We bought ours at Barnes & Noble, but I've seen it at Target and on Amazon. Happy playing! Okay, that's a very cool concept. Have you ever played the "Once Upon a Time" card game? Now there's another fun fairy-tale game! Devinoni (http://zombiegeek.blogspot.com/)has the Once Upon a Time game. I haven't played it yet, but it looks like fun! A few months ago we modified it, and he made up a cool set of cards for a children's library program (something a little simpler for younger kids) - it was a huge hit, and it was so fun to see how creative the children were in making up their stories! Sounds like a very fun game. We are big game players in my family. Every year for Thanksgiving we buy a new game to play when the whole extended family gets together for the Thanksgiving weekend. And if it's good enough we will play it again during the Christmas holidays. I love family games! Especially during vacations and get-togethers, when there is more time to hang out and play. Do you and your family have a favorite? i think i would've loved that game as a kid!